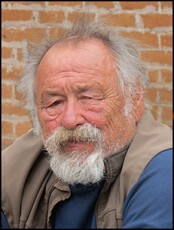 Jim Harrison, who died on March 25, 2016 at the age of 78, was a legendary novelist, essayist and screenwriter. This wide-ranging interview was recorded in 2007 while he was on tour for his novel, “Returning to Earth.” Hosted by Richard Wolinsky. An extended version of this discussion can be found on the Radio Wolinsky podcast.